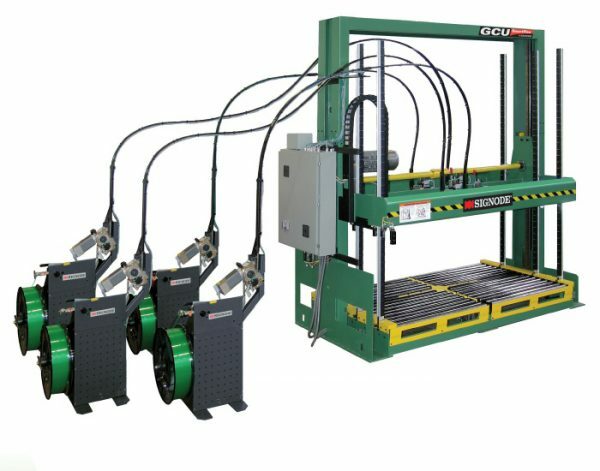 The GCU 2500 modular compression strapping machine has been developed with a highly flexible design with a wide range of machine options. The GCU press suits most customers’ needs to compress and secure their materials onto pallets using Signode’s high-performance Tenax® PET strapping. 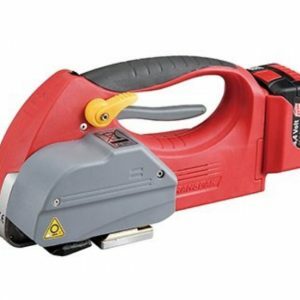 The standard machine comes with two strapping bayonets, chutes and two MHC strapping heads. 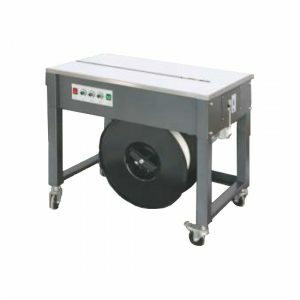 The machine is built as standard with a heavy-duty frame, heavy-duty compression platen with variable drive, for low maintenance. Telescopic strap chutes enable high-speed, accurate strap feeding and most importantly vertical strap positioning onto the load. 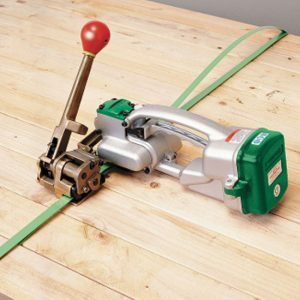 The MHC Modular head is for high-performance 9mm – 12mm Tenax PET strapping.